Members are allowed unlimited visits to the museum...a Single membership pays for itself in four visits, a Family membership in only three visits! 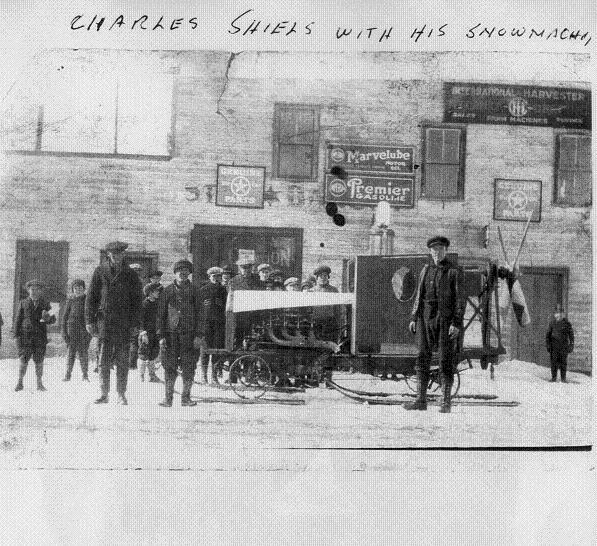 Charles Shiels built one of the first snow machines to be seen in the area. This photo was taken in front of what is now the Home Hardware store on Imperial Street South. The Massey Museum has moved into its brand new building and you will be amazed by all the great memorabilia and antiques they have on display. It's a lot of fun to visit and run by some incredible volunteers!"